In Sudan, the mass protest movement against the dictatorial regime that started in December has greatly escalated and spread to all major cities and towns since then. 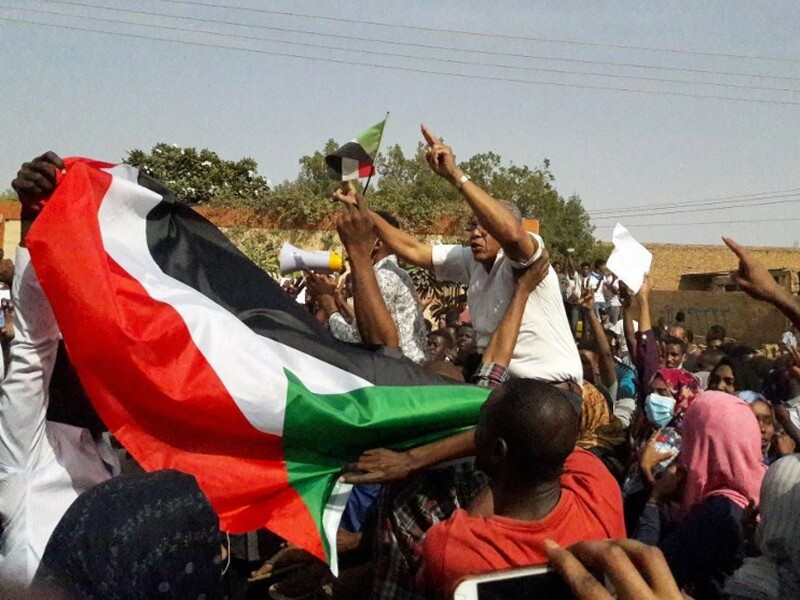 Following the appeals of the Sudanese Communist Party, a number of communist and workers’ parties had issued a common statement on January 9, expressing support for and solidarity with the struggle of the Sudanese people "against the dictatorial regime, for democracy and social progress." Last month, President Omar Albashir declared a state of emergency, dismissed the federal government and sacked state governors, replacing them with members of the army and security forces. In the statement issued on February 23, by Fathi Alfadl, the Spokesman of the Central Committee, the Sudanese CP interprets the situation as a "vain attempt" to rescue the regime. The bankrupt policies of the regime now have led to a deep crisis, in which the Sudanese CP attributes the responsibility to the President himself, who is in power since the coup of June 1989. On the 14th of March, which marked the 85th day of the uprising, dozens of thousands of peaceful demonstrators took to the street, defying the brutal repression of the security forces. In the statement issued by the Secretariat of the CC on March 15, the Party states that the struggle of the Sudanese people is now reaching an advanced stage "on the path to reach the point to use the general political strike and mass disobedience to fetter the hands of the regime and topple it." Meanwhile, the Party stresses that imperialist forces are waging conspiracies for splitting the opposition and halting the advance of the people. The Party accuses the US Administration as well as the governments of Egypt, Qatar, Turkey and France for "feverish plans under the cover of dialogue" that aim for widening the social base of the regime with new forces. The Sudanese CP calls on all its members and friends to remain vigilant and alert, to be in front lines of the protest movement. The Party appeals Communist and Workers’ Parties to continue their solidarity and support and help release the political detainees including its comrades, among whom 16 are members of the Central Committee. See the link for the statement of the Secretariat of the CC of the Sudanese CP.